Road Trail Run: Review Lumo Run Sensor and App: Serious Yet Friendly, Real Time, Effective, Run Bio Mechanics Coaching, Insights, and Exercises. 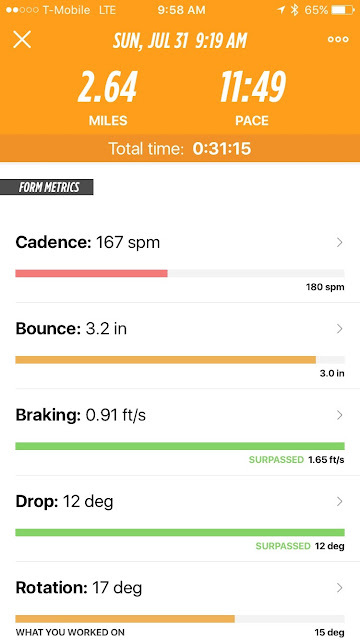 Review Lumo Run Sensor and App: Serious Yet Friendly, Real Time, Effective, Run Bio Mechanics Coaching, Insights, and Exercises. Lumo Run ($99) from Lumo Body Tech combines a small sensor pod clipped to shorts with a GPS run and coaching app. The system currently measures five run form metrics, Lumo calls them the 5 Pillars of Running Form: pelvic rotation, pelvic drop, cadence, bounce, and brake. According to Lumo improve the Pillars and you can become a more efficient faster runner with less chance of injury. 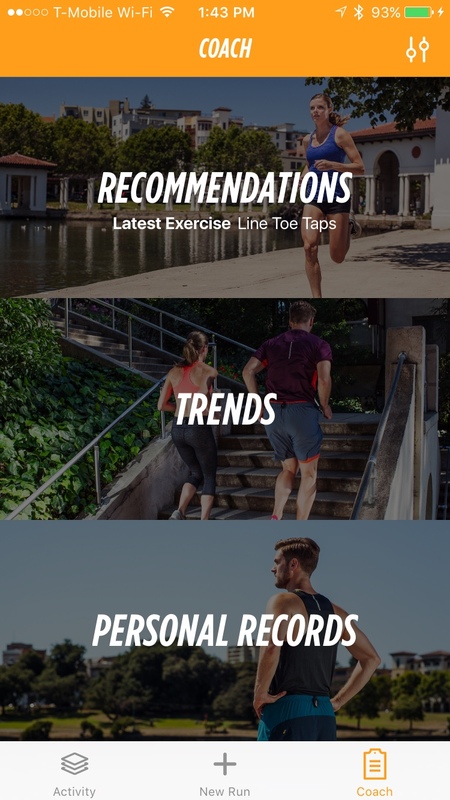 On sale August 1st at Lumo, Lumo Run is the first form and exercise tool I have seen and used that I am actually following... I am cross train lazy, hate the gym, and after 45 years of running have a real need to work on my form, particularly my stiff hips and pelvis. Lumo Run does not focus on the formerly oh so popular heel vs mid foot strike or strictly on cadence, the lower portion of the legs as many run form tech companies do. Lumo targets the center of your body, the pelvis and hips the area that is the driving engine of running. I think their approach is far more actionable than trying to change foot strike, if this is really even possible for most without dealing with the areas of the body, the "core", which I think really determine form and running efficiency. 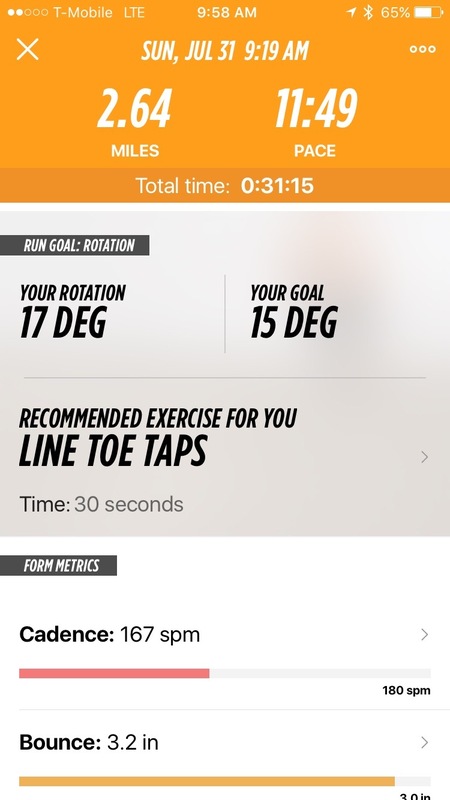 The app includes a pre run video demo of the form tip du jour (system or user selected), optional configurable in run audio live feedback for the metric and for tip reminders, and then post run exercises to improve the metrics, your run stats, and a view of trends for all of the metrics. 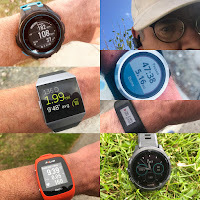 Overall the system is very well executed from flawless communication of sensor to app to the algorithms analyzing the data which have been extensively tested and verified in development by testing against sophisticated lab run and biomechanics equipment, stuff well out of the the reach of the average runner. 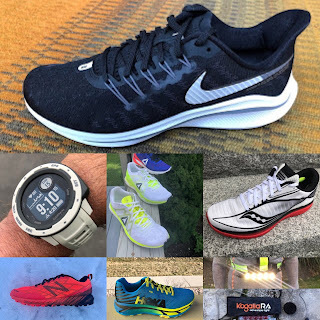 My testing and their improvements and fixes as I run with Lumo Run tell me they will launch with a very polished and effective run form system. The app itself is very well done. The screens are clear and easy to understand, yet just data rich enough for even a geek. Sure more extensive graphing and feedback on and comparisons of two metrics at once on a given run. might make some of us geeks happier but for 90% of users there is just the right amount of data and flexibility to set feedback to preferences. During my testing I provided Lumo feedback. I suggested for example if you are way off the benchmark for a metric, start with more reasonable goals. For me it is cadence and instead of the "standard" 180 steps per minute Lumo is trying to get me to 175. Reasonable goals are implemented in the release version now on sale. What I do know is working for me is to focus on the audio tips while running. They are easy to understand and do. Today, as I worked on pelvic rotation, the app suggested thinking about pushing off on a skateboard and rolling my shoulders down and back. 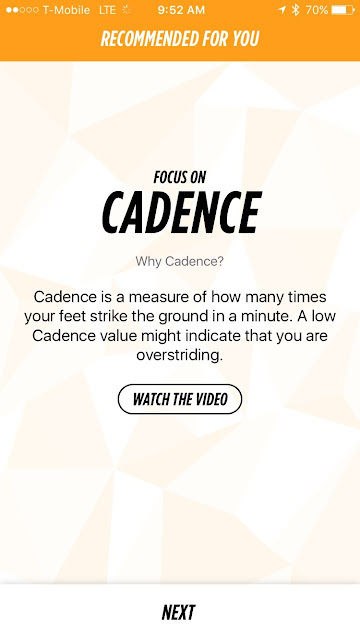 For cadence it suggests imagining running through puddles without getting wet and elbowing someone behind me. My cadence has improved but the trick is to have the strength to maintain the form when tired, the exercises are key. New tips appear all the time for the different metrics. The artificial intelligence in the system is considerable, determining for each run a personalized form element to work on, setting a reasonable goal upfront if you are not close to the gold standard goal metric but also allowing you to chose whichever metric you prefer. 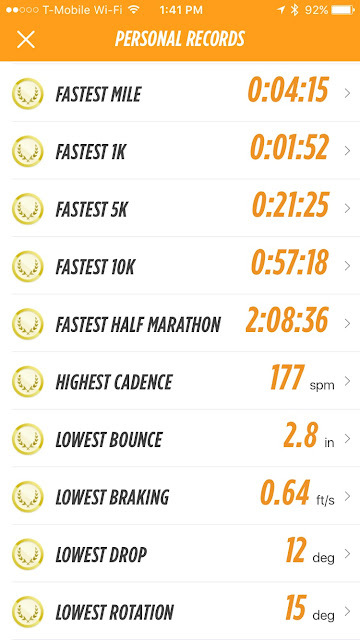 I think the app over emphasizes cadence which for me is highly pace dependent. I often head for Pelvic Rotation, my weakest metric. Posture tips are can also be periodically given via the audio feedback for example "roll your shoulders down and back", "engage your core", "look ahead". I am unclear if they are triggered by your posture but believe they may be. I have welcomed the positive feedback chimes and jumped a bit when I heard the negative tuba chime-when you go off the goal for a period of time. A bit of adjustment may be required by Lumo as the negative chime is often rapidly followed, when you get back on track, by a positive chime which can be a bit confusing. You can turn such instant feedback on or off. You can also turn on or off the easy to "feel" and do the audio form tips you hear periodically. I focus on recalling the tip when I hear the negative chime if my metric is headed off target. At the end of each interval, one mile for me but configurable by distance, the app will tell you how you measured up to the selected metric for that interval. If you are having an "on" or "off" day after a while the coaching seems to ease off in its frequency. Overall the feedback is extremely well done and timed. Never to much. After all the purpose is to improve form. Neat! Today I had very tired legs after a 500 mile drive and 8 mile brisk trail run the day before so went for an easy trail run in Park City's Round Valley. The pod itself slips out of a rubber like carrier for USB charging. The tip of the pod snaps off and has a thin leash, caution advised as it is easy to break the leash. I did on my first pod. Battery life has been outstanding. Specs say 20 hours of in-run time and 7 days standby which seems right to me. The unit is advertised as waterproof and machine washable. I wouldn't... but did... and it came out just fine. 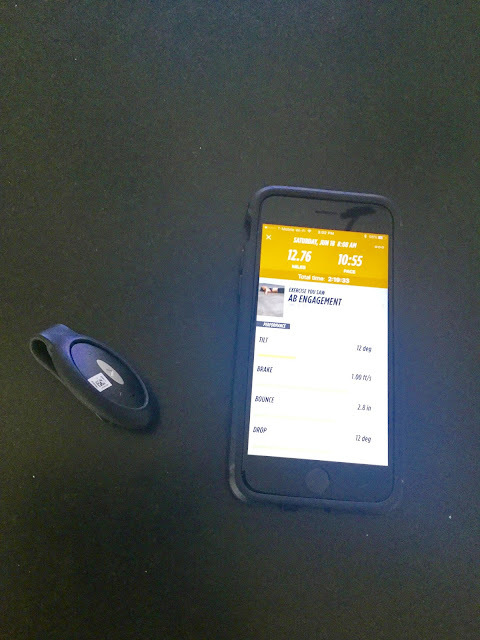 You can run without the phone app, the sensor will automatically synch when you are back in range but you will miss the audio tips and will have no GPS tracking. With GPS tracking you also get Auto Pause and all the usual distance and pace metrics. 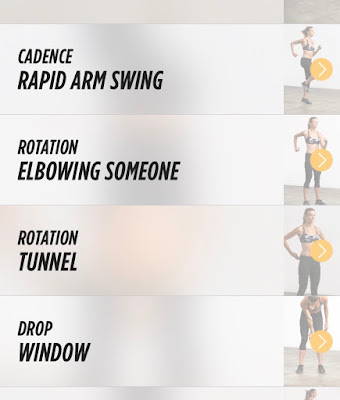 While the app suggested Cadence... again. I chose Pelvic Rotation by touching the icon at the top left. You can chose any of the 5 metrics for a given run. I would welcome the opportunity to chose more than one during a run as I believe many are related. I am sure Lumo is working on this. Lumo suggested a pre run tip. I watched the video and did my best during the run to "skateboard" more. The tip was repeated occasionally and the tuba chime indicated if slipped off the 15 degree target. At mile intervals, my setting, I heard my Pelvic Rotation average in degrees for the last mile. I did not hit 15 every mile but was at least 2 degrees better than usual, times when I was not focused on that particular tip. And best part, the tips are easy to remember so next time, if I am say focusing on Cadence, I will be thinking of the skateboard as well. Once complete I saw my basic stats and since my pace and Cadence was painfully slow due to being tired, Lumo suggested I work on some post run exercises for Cadence, Line Toe Taps. Finally I saw an overview of the entire run including stats for the other metrics. The app keeps track of trends, personal records, tips and exercises performed. 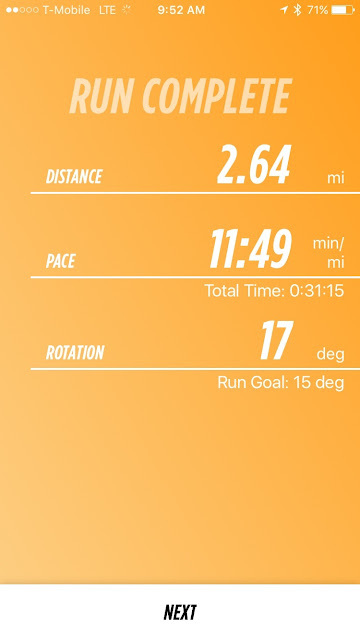 I forgot to stop the app returning from a run so I picked up a fast mile time but the personal records screens is very useful and motivating. Touching to the right of each metric brings you to your top 3 for each. 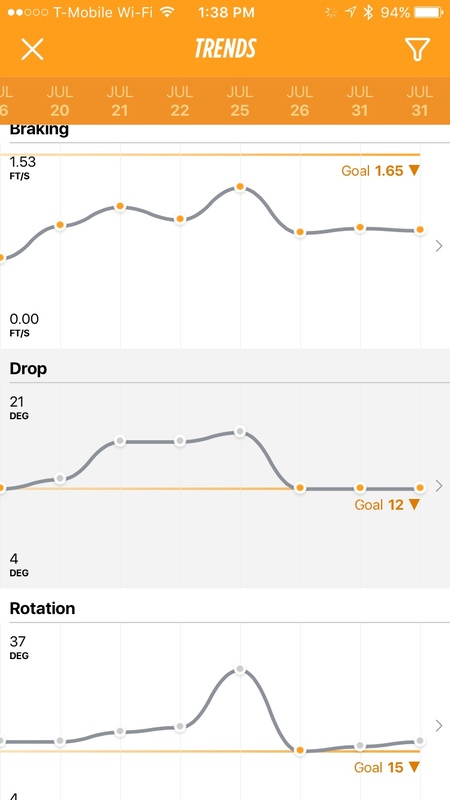 As the app was finalized in the last few days from its beta status, I lost a couple months worth of trend data but generally speaking I have been improving my cadence, pelvic rotation, and pelvic drop. While my cadence approaches 180 at approximately 7:30-8:00 pace at slower paces it is lower and I personally don't see that as necessarily a bad thing, usually running around 174. The data shows my Pelvic Rotation tends to increase as pace increases. I was at 32 degrees in a recent downhill half marathon where I ran 1:37, running with pod only, so no GPS and fastest for distance in the records table above. I wonder if my arms were flying off to the side, instead of driving through by elbowing back in line, a key Rotation tip and I am betting I was wind milling and not skateboarding either thus increasing rotation. 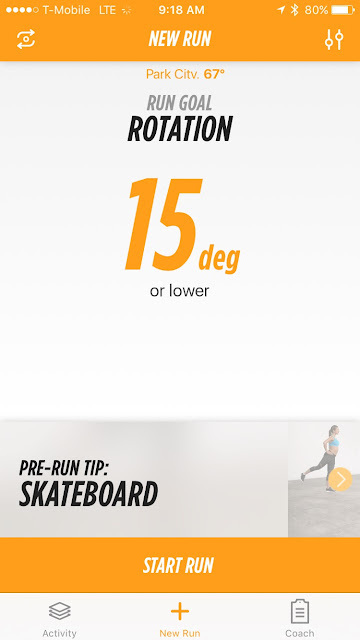 This said on downhills will most rotate their hips more as a rule at high speeds? I don't know. 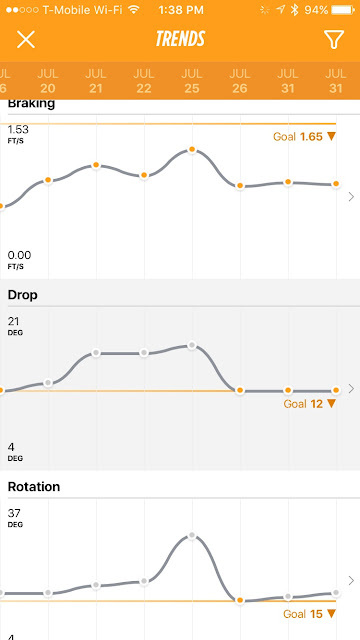 Another metric Pelvic Tilt was removed from the final production app version due to variations in shorts but was a particularly important one for me. Lumo plans to work on the algorithms to improve reliability for those with looser shorts but it worked fine for me. Lumo is very careful and diligent in its testing and product quality from everything I have seen and I applaud them for this but I hope Pelvic Tilt comes back! 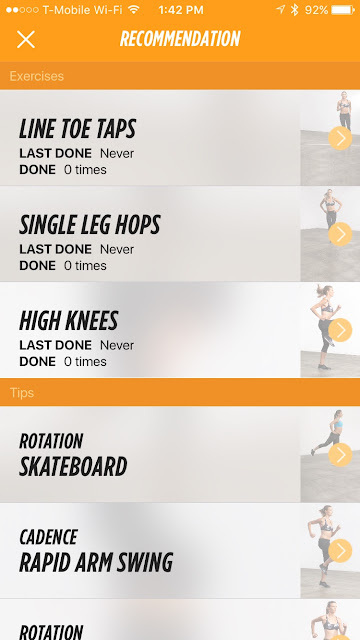 The recommendations screen has the most recent recommended exercises and tips, all easily accessible including video demos for each. Lumo Body Tech has really pushed the boundaries of what is possible in wearable fitness tech with the Lumo Run. The hardware and app have been mostly flawless and reliable, the app is well designed and usable by all types of runners, the tips to improve form actionable and simple, the exercises on point, the overall experience excellent. And I expect this is only the start for this platform. 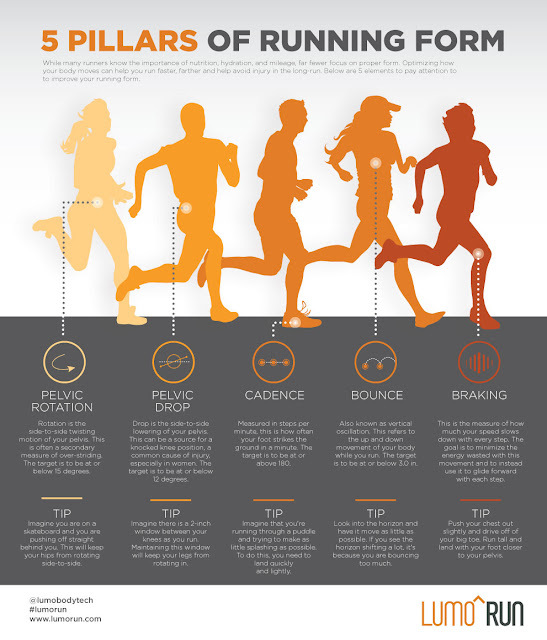 All runners are concerned with improving their form and efficiency to run faster and further and maybe help prevent some types of injuries. Few have access to sophisticated video analysis and a coach commenting on form on every run. Without being overbearing or intrusive Lumo Run is a fine and objective coach indeed! On sale August 1st for $99. Use the link here for a Launch Special $10 off Lumo Run for readers of RoadTrailRun. Hopefully mine will ship today! Thanks for the sneak peek! 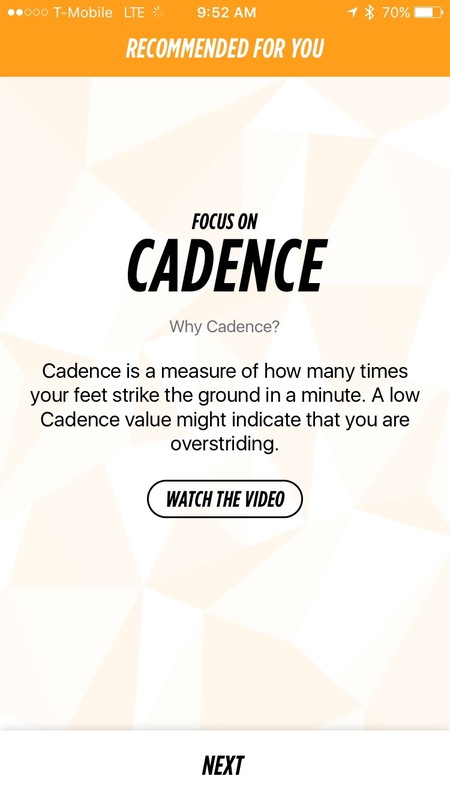 Your cadence is changing with pace because you aren't changing your stride. Lengthen and shorten your strident work efficiently across all paces.